Last week the kids and I made our annual gingerbread houses. The girls and I had fun making our tidy pretty houses with neatly lined up candies. 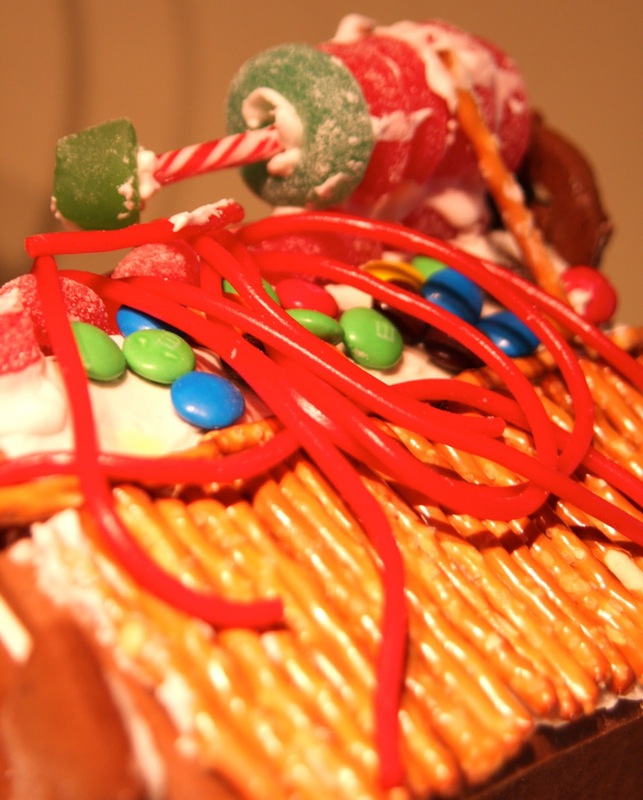 My son on the other hand decided to turn his gingerbread house into a military compound supplied with artillery on the roof, barricade of pretzels in the front and liquorice strings tossed aimlessly about on the roof to throw off any possible invaders. I used the best gingerbread dough ever, a recipe I got from Martha Stewart years ago. 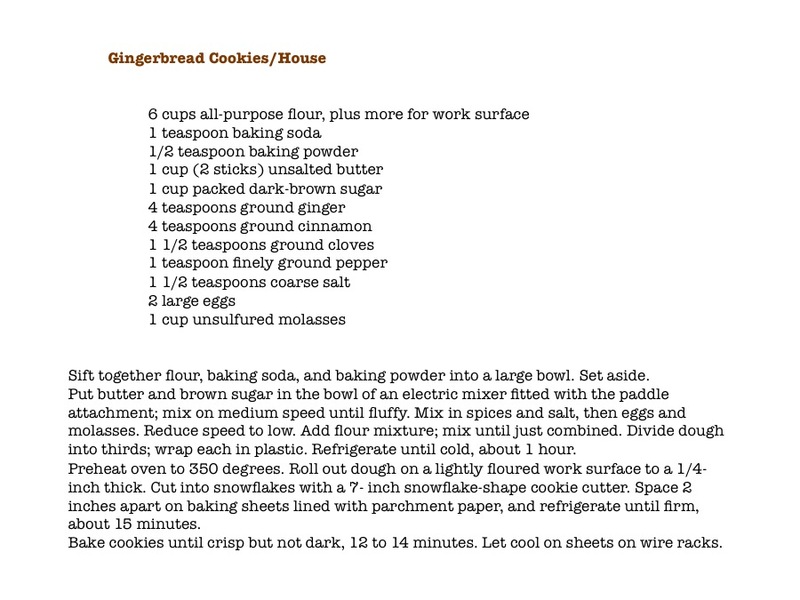 In case you were wondering, the "glue" is basic Royal Icing. 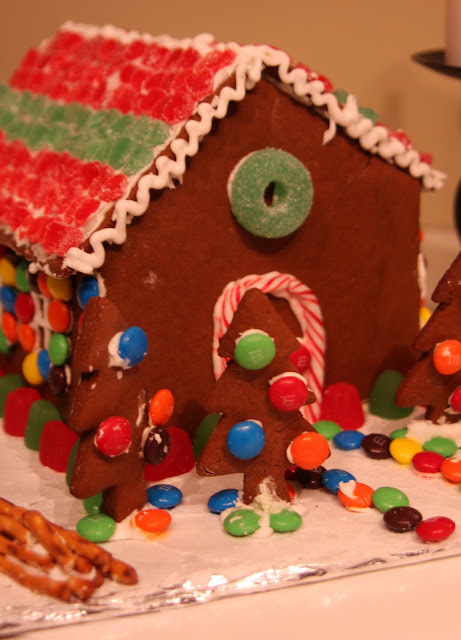 The fun part is watching the kids slowly sneak pieces of candy off of their gingerbread houses, even though the rule is no eating until Christmas Eve! My shopping is almost finished and have a few more goodies to bake. How are your Christmas preparations coming along? This is a perfect example of what my life with boys is like... creative and messy. lol. Looks like a fun time Barbara!! How funny. As you said, very creative, and with all that candy, very delicious too I would think. 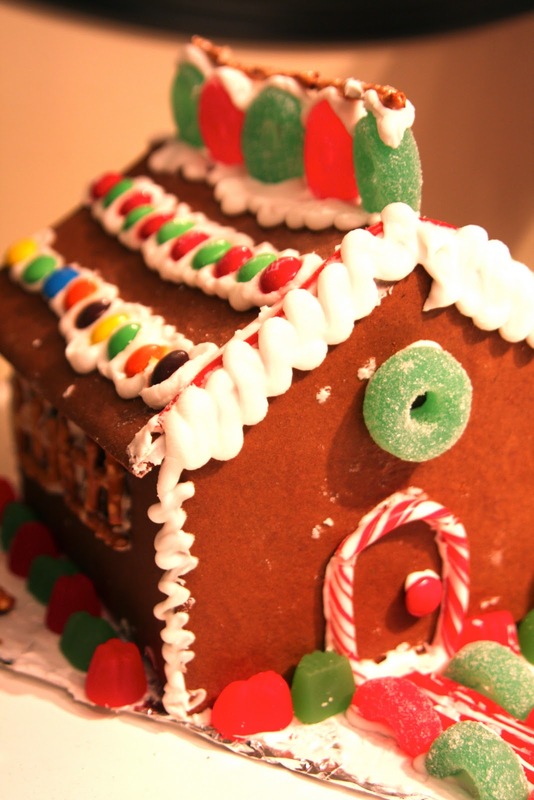 Our girls decorate gingerbread houses each year too! It is always such a fun time. I'm a little said this year as it might be their last (they are now 18 and almost 22, and one just graduated college and the other will be off next fall). 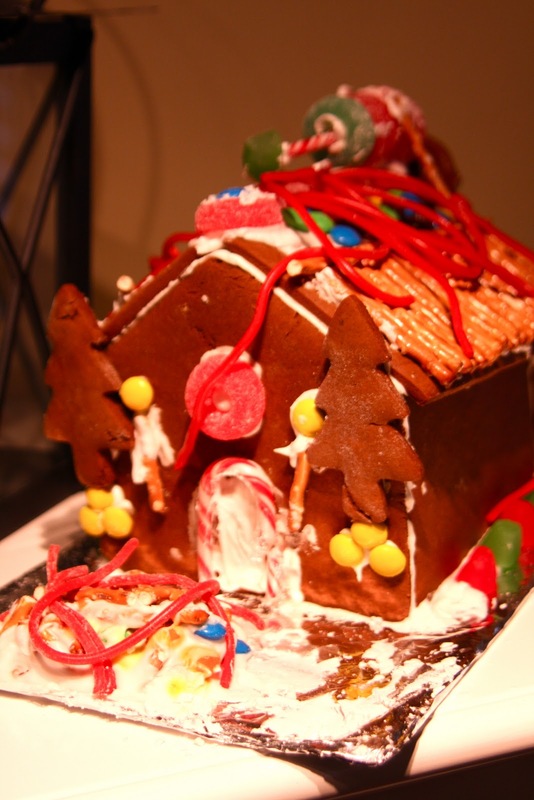 We love looking back on the pics of their houses each year...some were pretty wild! I have been wanting to make a gingerbread house with my 3 year old grandson. What a great idea for each of us to have our own to decorate. ... it will help with my control issues:) I enjoy following your blog. so much fun! last year i attempted to make a taj mahal gingerbread....it turned out to be a big old mash up of marshmellows & icing! The houses are both adorable! So funny how boys will be boys! Thanks so much for your lovely comment on my blog post. I feel the same way about all your support. Have a wonderful Christmas and here's hoping that our Christmas wishes come true! Love this and it sure beats my costco in a box gingerbread houses.. once my kids are a little older I am sure I will have a little more patience to make from scratch. So awesome- your houses look great! Seriously Barbara, this post made me laugh out loud!!! Your kid even has the barb wire on the roof. Too silly!!! Have fun eating them! Ooh I just love this! And those bowls of candy have me drooling on my keyboard lol!!! Thanks for entering my giveaway, I'll cross my fingers for you :) And let's get together after Christmas and talk shopping, powerpoint, and everything in between!! Hugs to you, Merry Christmas! Looks so fun Barbara, I wish you and your family a wonderful Holiday! Those houses are so cute! Love the artillery. Thanks again for coming by my blog. Loving your blog as well!